Imagine a world where you never have to think before producing written content. Where bloggers, journalists, publishers and students could produce content in a matter of minutes. Well, that world may not be so far away thanks to Israeli startup Articoolo. 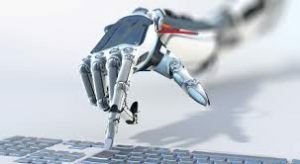 Founded in 2014, Articoolo has created a software robot that uses algorithms and artificial intelligence (AI) to write comprehensible articles of up to 500 words. A user simply enters two to five keywords, and Articoolo will contextualize them, summarize information about the keywords, and rephrase the summary to produce a unique article, for as little as $2 dollars — much less than the salary of the already embattled journalists. Since the company was accepted into the IBM accelerator program in 2016, it gained access to Watson, one of the world’s best AI robots developed by IBM, further enhancing its capabilities.